What Did the Butterfly Say to Solar Photovoltaic Engineers? Science and engineering are based on common-sense, and fortified by mathematics and experiment. It is this realization that nature is perfect that has lead humans to turn towards nature for solving many of their scientific and engineering problems. Why should they, otherwise, turn to a jet-black butterfly for advice? Scientists at Karlsruhe Institute of Technology (KIT) were trying to reduce the light reflected off the glass covering on thin film solar cells. Scientists at Karlsruhe Institute of Technology (KIT) looked at the surface texture of wings of butterfly Pachliopta Aristolochiae under very powerful microscopes and found that it was not as smooth as it appeared. In fact, the surface had nano-depressions of various sizes placed randomly. They tried it on their solar cells and found that the solar conversion efficiency had increased. They tried various sizes and spacings and compared the result. Can you guess the conclusion? Random diameters, random spacing. Random depths! Apparently, the depressions trap energy and make part of it go into the glass, preventing specular reflection. What has a butterfly wing got to do with the efficiency of a solar cell? Apparently, nothing. But the wing surface structure of butterfly Pachliopta Aristolochiae has given scientists a hint about how to capture more of the sunlight incident on a thin film solar cell. Currently, these cells lose a lot of the incident energy to reflection. This is one of the reasons of the low conversion efficiency of thin film solar cells. What is the hint the butterfly whispered into the scientists’ ears? It may look rather too simple. In simple words “a rough surface is a better absorber”. 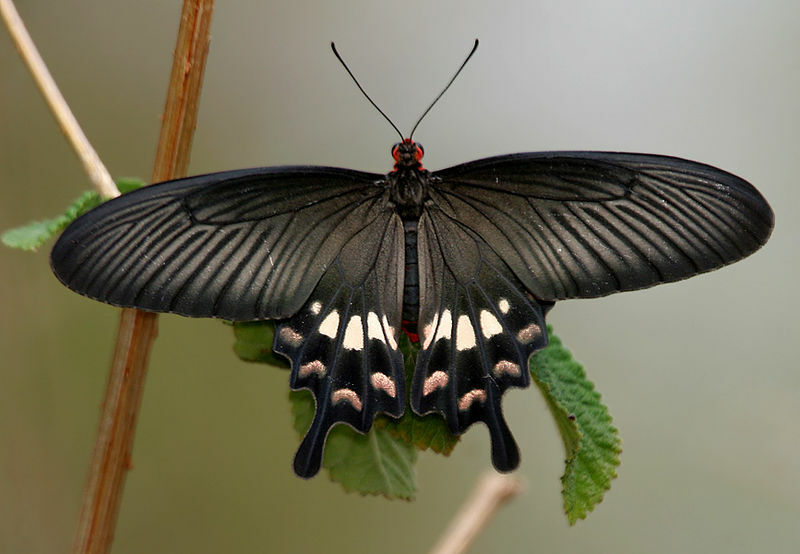 Wings of this specific butterfly, which also happen to be very black, have nano-depressions, which help absorb solar energy much better at various angle of incidence. Light at oblique angles of incidence is much more likely to be reflected virtually completely. Modeling their cell surfaces according to the pattern of nanoholes on the butterfly wing, a team led by Radwanul H. Siddique (formerly of KIT, now Caltech) and Hendrik Hölscher have carried out an experiment on thin film solar cells with excellent success. That the experiment succeeded was not a surprise. It was the level of improvement in absorption that surprised them. They have reported an improvement in absorption percentage by up to 200 percent. That is very significant. The results have been reported in the scientific journal Science Advances: The team of scientists at KIT reproduced similar nano-holes on the surface of the surface of thin film solar cells. They got the joyous surprise of their lives when they found that sunlight absorption had in some cases doubled. That is a major shot in the arm for the thin film solar technology because currently it is virtually disregarded in commercial products with a preference to crystalline technology. Crystalline solar cells have percentage conversion efficiencies in the low twenties, and can theoretically, go up to 33 percent. Currently, manufacturers use Thin film technology, with a much less efficiency only in cheap mass-produced devices like calculators and watches. This breakthrough may give a much-needed boost to this technology which otherwise has some merits. Prior to the actual construction of the cells under experiments, the scientists studied the problem in simulation. Different sizes of the holes, and different arrangements were studied for their effect on absorption efficiency. Another surprising result was that disorder, rather than definite order gave the best results. This means disorder in sizes as well as placement. Apparently, random sizes and placement will respond to a broader range of frequencies in sunlight and capture more of it. A mathematical explanation for this fact may take some time coming. In the meantime, thin film technology for solar energy seems to have got a dose of multivitamins. Why should this improvement be important when the crystalline Si technology is yielding a higher conversion efficiency? The main reason lies in cost-cost of materials and processes involved. Thin film processes are much cheaper, requiring much simpler industrial outlays, and production can be scaled up. Mass production is simpler and cheaper. 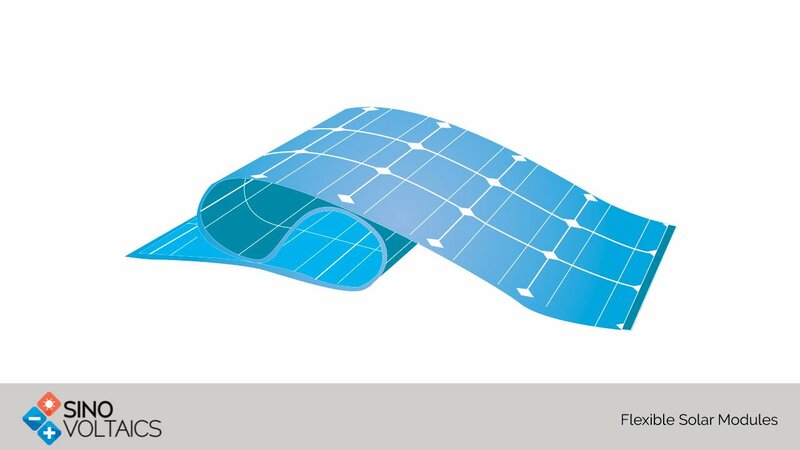 Also, manufacturers can produce large sheets of thin film which could roll up, meaning flexible solar panels, car window panels, contoured or foldable panels for travel, etc. Stay tuned, scientists are working hard to give you even better news. Journal Reference: Science Advances, 2017; 3 (10): e1700232 DOI: 10.1126/sciadv.1700232.